Warts are a common skin condition and many people have a wart at some point or another. Warts affect men, women and children of all ages and are usually a pain free skin condition. Though warts usually do not cause a problem, you may be faced with a painful wart or one that is not going away on its own; in this case wart treatment can help. What are the benefits of wart treatment? Wart treatment works to remove painful warts, clusters of warts or warts that have failed to go away on their own. 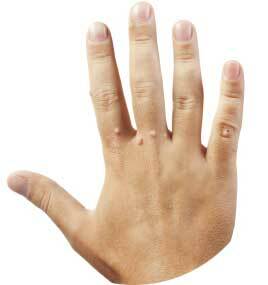 Many sufferers find warts to be an annoyance and therefore wart treatment can help to improve confidence. What are the different types of wart treatment available? There are a number of different types of wart treatment available and a dermatologist can advise you on the best course of action for your warts. Laser treatment is a popular option for treating warts as well as prescribed medication. How long does wart removal treatment take? Wart treatment is a relatively quick procedure and you may find the problem is solved after one course of treatment. However, those with weak immune systems can find it takes longer. The time it takes to treat a wart depends on the type of treatment used and differs in each individual. Further information can be provided by a qualified dermatologist. Treating a wart is a safe and relatively straight forward. Laser treatment is an especially effective wart treatment and is completely safe for both adults and children. Who will perform the wart treatment? Wart treatments are performed by one of our qualified practitioners and supervised by Doctor Maria Gonzalez. By assessing your warts at your first consultation we will be able to offer advice on the best type of treatment for you.